Philadelphia 76ers guard T.J. McConnell reacts after scoring against the Boston Celtics during the second half of Game 4. I'll save my extended personal thoughts on Ben Roethlisberger for another day. In short, the Steelers quarterback has a long, storied history of being a jerk and, as recently as this past week, continually exposes himself as a jerk. 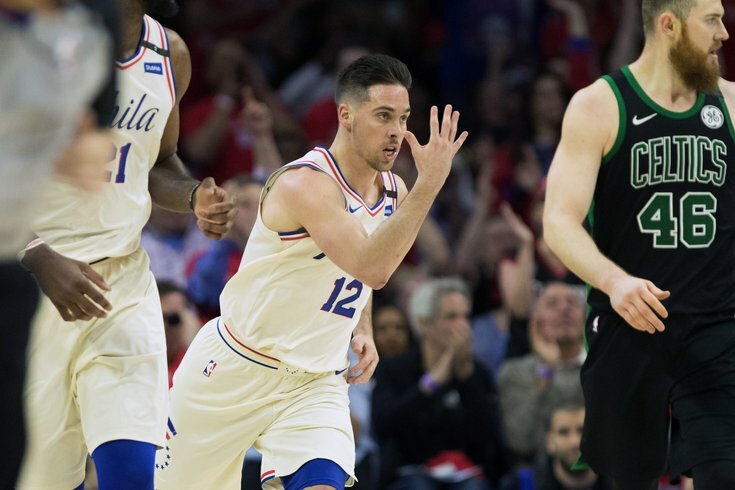 So, maybe the recent revelation from Sixers guard and Pittsburgh native T.J. McConnell — aka the GOAT who helped will the Sixers to a Game 4 victory over the Boston Celtics on Monday night with the performance of his life — isn't all that surprising. On Dan Patrick's radio show Tuesday, McConnell was asked about his Pittsburgh roots. Sadly, Teej is a Penguins fan who is bummed about the team getting bounced from the second round of the NHL playoffs but enjoyed the last two Stanley Cups (vomit). The Steelers, though? McConnell has also always been a fan. But apparently, when he was a kid, he met Roethlisberger, which put his fandom in jeopardy. T.J.: Um, I met R a while ago when I was little, but, it wasn't too good of an interaction. D.P. : (laughing): Why, what happened? T.J.: Um, you know I respect him as a player, but he wasn't exactly the nicest guy. But, I mean, he was being bombarded by people. So, I understand. D.P. : Did you ask for an autograph? T.J.: Yeah, I was in 6th grade. We were at like hoops for a cure thing at like my high school. And, you know, he was getting bombarded left and right. So, I completely understand, it was them coming up there for his first Super Bowl. T.J.: No (laughs). Uh, to be honest I stopped rooting for the Steelers for a little bit after that. D.P. : Wait did you become an Eagles fan? T.J.: No, no I didn't. I was a little petty and rooted for some teams in our division and then, now, I've reverted back to a Steelers fan. D.P. : Wait, did you root for the Ravens? T.J.: No, I was a Cincinnati Bengals fan for a little bit. Patrick then suggested McConnell offer to take Roethlisberger to a Sixers game, but McConnell said he didn't think Big Ben would be interested. It's a bummer that McConnell didn't switch over to the Birds after his encounter with Roethlisberger. But I applaud the pettiness of rooting for the Bengals.